HUGE news, EDM fans!! 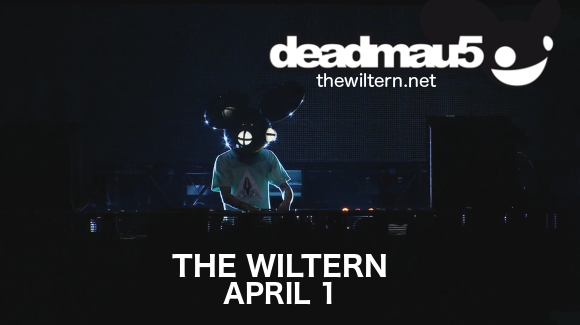 COMING LIVE to The Wiltern on Sunday 1st April 2018 is the one and only Deadmau5!! Get ready to catch the legendary masked DJ/Producer in person – it’s going to be epic!! Tickets expected to sell out fast so don’t delay – grab yours now!! The stage name of Canadian producer Joel Thomas Zimmerman, Deadmau5 has become one of the most iconic names in progressive house since he first appeared on the scene in 2005. His most recent release, “Where's the Drop?" of March 2018 is a huge surprise to fans, an entirely orchestral re-working of much of Deadmau5 previous material. Known for his innovative shows featuring incredible 3D graphics and state-of-the-art sound and light, nobody knows what to expect at his show on April 1st. Only one thing’s for certain – it’s going to be AMAZING!! What are you waiting for?? Hurry and grab those tickets! !